Oh, those weird moments when something not-so-crazy just strikes you as nuts and makes you laugh. That’s Jonah 1:17. You probably know the story. God told Jonah to do something, Jonah decided to go the opposite direction, a big fish swallowed Jonah and made him think twice about his current position with the Lord. After praying, Jonah was vomited out of the fish onto shore. Jonah went on to obey the Lord. Here’s what had me laughing: provided. The Lord provided. I hear those words a lot. I use those words a ton. The Lord does provide. He provides all the time, faithfully, with good gifts and enough to get us through. We say things like that the Lord provided in our time of need, or that He provided us great friends. His timing is a part of His providing, as are financial gifts, great conversations, books that speak to the soul, etc. 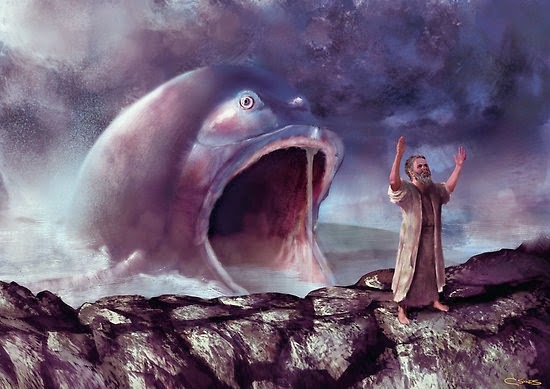 In Jonah’s case, the Lord provided a fish to swallow Jonah whole…just to have him thrown up and to send him on to the last place he wanted to go. God’s provision was correctional. That’s the kind of provision this verse is referring to. In Hebrew, this “provision” word is “manah.” It’s short definition is “appointed,” while words like “reckon,” “number,” and “count” are all associated. In its other uses, this word refers to the conscious action of putting something in place intentionally, or taking stock of something. This word “manah” describes people being appointed into places of leadership, leaders being told to take stock of their people, God alone having put in place all the descendants of Abraham, and of course, God putting Jonah into the belly of a big fish. What if the Lord provided you with a traffic jam on the way to work not to protect you from some worse incident, but to challenge your obsession with deadlines? How about when that long line at the grocery store got you to notice an old lady with too many bags to carry…who you were then inclined to help…which annoyed you even though it was the right thing to do….? The Lord’s provision for me, and for you, is at times more about putting us in the place He wants us –even for correction, taking stock of our obedience- than fulfilling our perceived needs.